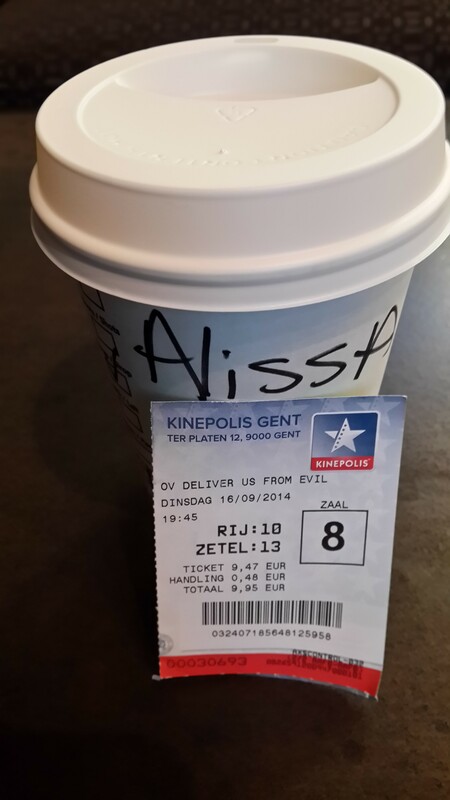 The very last horror/thriller movie I’ve paid to see at the movies was “Deliver Us From Evil”. New York police officer Ralph Sarchie (Eric Bana), struggling with his own personal issues, begins investigating a series of disturbing and inexplicable crimes. He joins forces with an unconventional priest (Edgar Ramirez), schooled in the rituals of exorcism, to combat the frightening and demonic possessions that are terrorizing their city. “Deliver Us From Evil” is not the perfect scary movie but I don’t wanna give the illusion I didn’t have a good time, because I did. It’s not perfect cause it won’t keep you up late at night, it does however make you feel uncomfortable going home in the dark. Being part of the Li-dynasty means we’re scary movie junkies. Whatever in-law we welcome into our family, they need to have the balls to watch ‘The Ring”, “Insidious”, the “Saw” movies etc. I myself have started with the more softer movies like “Chucky”, “Nightmare on the Elm Street” and “Friday the 13th” at the age of 4. I then progressed into watching “Urban legend”, “Scream”, “The Final destination” and “I know what you did last summer” movies as a tween. And then I went all gory by the time I hit adulthood watching “The Ring”, “The Grudge” and the “Saw” movies.